Nomura E, Inoue M. Surgical technique and rationale for medial patellofemoral ligament reconstruction for recurrent patellar dislocation. Arthroscopy. 2003; 19(5):E47. Nomura E, Inoue M, Kuriyama M. Chondral and osteochondral injuries associated with acute parellar dislocation. Arthroscopy. 2003; 19(7): 717-21. Nomura E, Inoue M. Injured medial patellofemoral ligament in acute patellar dislocation. J Knee Surg. 2004; 17(1): 40-6. Nomura E, Inoue M, Osada N. Augmented repair of avulsion-tear type medial patellofemoral ligament injury in acute patellar dislocation. Knee Surg Sports Traumatol Arthrosc. 2005; 13(5): 346-51. Nomura E, Inoue M, Sugiura H. Histological evaluation of medial patellofemoral ligament reconstructed using the Leeds-Keio ligament prosthesis. Biomaterials. 2005; 26(15): 2663-70. Nomura E, Inoue M, Osada N. Anatomical analysis of the medial patellofemoral ligament of the knee, especially the femoral attachment. Knee Surg Sports Traumatol Arthrosc. 2005; 13(7): 510-5. Nomura E, Inoue M. Hybrid medial patellofemoral ligament recontruction using the semitendinous tendon for recurrent patellar dislocation: minimum 3 years’ follow-up. Arthroscopy. 2006; 22(7): 787-93. 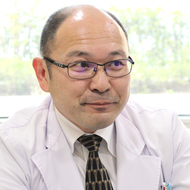 Nomura E, Inoue M, Kobayashi S. Generalized joint laxity and contralateral patellar hypermobility in unilateral recurrent patellar dislocators. Arthroscopy. 2006; 22(8 ): 861-5. Mehta VM, Inoue M, Nomura E, Fithian DC. An algorithm guiding the evaluation and treatment of acute primary patellar dislocations. Sports Med Arthrosc. 2007; 15(2): 78-81. Nomura E, Inoue M, Kobayashi S. Long-term follow-up and knee osteoarthritis change after medial patellofemoral ligament reconstruction for recurrent patellar dislocation. Am J Sports Med. 2007;35(11): 1851-8. Inoue M, Nomura E, Sugihara H, Kobayashi S. Histological findings of avulsion-tear type medial patellofemoral ligament injury in acute patellar dislocation. Clin Pathol. 2007; 60(9): 1068-9. 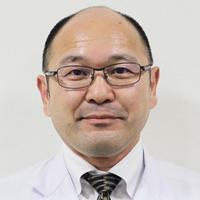 Kitamura K, Nomura E, Inoue M, Sugihara H, Kobayashi S. Avulsion-tear type medial patellofemoral ligament injury with a small bony fragment in acute patellar dislocation. J Trauma. 2009; 66(1): 271-3.